If you are planning for something new in weekends then you can enjoy the cruise rides anywhere in India. There are abundance of those places you can easily explore them. Just think only you have a glass of drink and you are on the deck, the pleasant moments of ocean directly enter into your memory lane. It is the best way to get you relaxed from the hustle bustle of the city and from the busiest life. There are many cruises where you can go with your family, friends or partner. 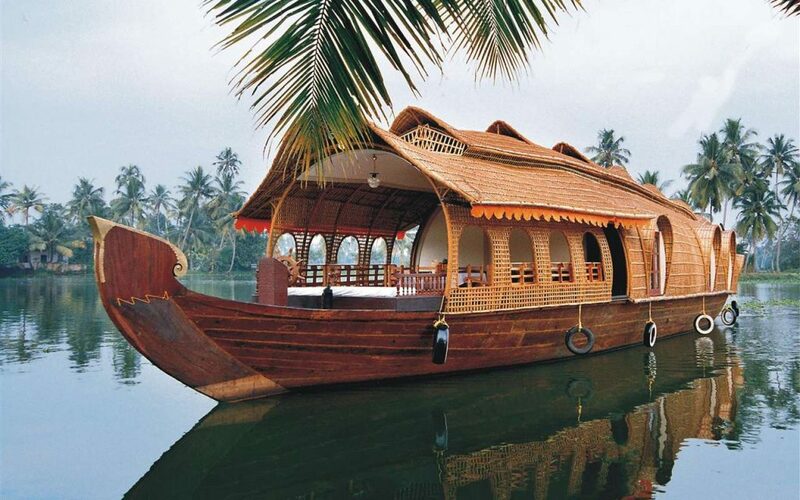 We are providing you the list of Top Amazing River Cruise and Backwater Cruise Ride in India. You can simply choose the place you want to discover. Brahmaputra River Cruise: Brahmaputra is a perfect destination for nature enthusiasts. It provides a magnificent journey to them. This journey will offer you some mesmerizing views. While on the cruise you will observe the insight beauty of the attractive bird life, rural villages, and the occasional Gangetic Dolphins. Andaman: Andaman is a wonderful destination for a pleasant cruise vacation. This majestic journey offers you several incredible views of the waves of the ocean. It’s a cherishing destination for beach and nature lovers and it is also a perfect destination for having wonderful cruise day. Sunderbans: Sunderbans is informally known as ‘land of Royal Bengal Tigers’ is situated in West Bengal. This wonderful journey will provide you some magnificent views of enchanting beaches and traditional villages. You will get refreshed in the charm of nature. Vembanad Lake: Backwaters of Kerala are renowned for their alluring charm. This place is blessed with attractive backwaters, beautiful lakes for cruising, and tea gardens. During the backwater cruise you can observe the rustic charm of backwater village. Chilika Lake: Chilika Lake is one of the fascinating cruise vacations in India. It provides spectacular view of species between the months of November to February. This lake offers several of cruises to choose from as per your time and budget. Mangalore: On Mangalore cruise, you have a chance to explore the ocean mysteries. Dance floor is a main attraction of the cruise for enjoyment. You can enjoy both vegetarian and non-vegetarian delicacies. It is a good place for friend get-together, family celebration and birthday bash. River Mandovi: You will be mesmerized to watch the folk dances and mandos songs perform by the local girls and boys during the cruise to River Mandovi. You can explore the historical sites and eternal beauty of nature. Dolphin spotting and alluring beaches are the good reasons to enjoy the quality time. Saikhowa River: You will get to realize the beauty and attractiveness of this lake while on the sail to Saikhowa River cruise. Its eternal beauty attracts visitors from all over the globe. You will be delight to watch the exotic species of flora and fauna and picturesque view of hills. Pichola Lake: Pichola Lake get you fall in love with it after exploring it closely. This lake is enclosed by historical sites and mountains. During the boat ride or river cruise its scenic surroundings will amaze you with wonderful scenarios. This beautiful site is in Udaipur. Dal Lake: Dal Lake is one of the best diving sites and glorious cruise day. During the cruise, you will get some outstanding views of nature and cherishing memories for a life time. The cruise is an absolute bliss for water enthusiasts with pampering experiences throughout the trip. Ganges Heritage Cruise: It is a perfect cruise to closely know the significance and beauty of River Ganga. There are so many spots which you can you explore with your family and friends like Munger Fort and ancient town of Bhagalpur. Goa Cruise: Goa is a popular destination in whole India for their cruise especially Cunard Line and Princess Cruise. It is a perfect idea for a quick getaway and the chance to explore the mysterious beauty. These are the beautiful weekend gateways which are popular for their magnificent beauty and rustic charm. Plan one for it and head to tour!! !